Ask any person in the world to name some of the greatest people who ever lived, and undoubtedly the legacy of Martin Luther King Jr. would be mentioned. The slain civil rights leader represented and continues to represent the best of human ideals we all should ascribe to. Most of us have problems trying to meet people we think we have something in common with, let alone a stranger. However, the power of a smile breaks down walls and barriers. Whether it's race, age, socioeconomic status, or other perceived factors, just do it. Not sure what to talk about? Just be nice, be open, and be respectful. I engaged in a conversation with a young lady on one particular occasion and the discussion turned to food. She remarked the only food she prepared or ate was that of her own ethnic background. When I asked why, she stated she had never tried anything else. As I probed further, she remarked that all of her interactions were with her own kind. It becomes difficult to empathize, relate, or be tolerable to people different from us if we don't understand or are not even open to other's cultures. An individual's culture may be comprised of various subsets. Go to a different faith's worship service and meet people. Go to a different ethnic group's business networking event. Go to a different group's museum and ask questions. Visit another group's neighborhood and enjoy the sites, sounds, and food. Make sure to be courteous, open, and respectful. You might enjoy it and come back. Offer to pay the remaining balance for someone struggling to find the money to pay for an item at the convenience store. Stop in the hustle and bustle of the morning rush and hold a door or elevator for a slew of strangers. Encourage the stressed out waitress at a restaurant she's doing a great job. Reward customer service agents for their work and give kudos to their supervisors. Do not expect a thank you. Perform the act in complete altruism. Be present at all times and look for the opportunity to make someone's day. You might start a new habit. There are plenty of places in need of service. Go to a local shelter and help pass out dinners. Mentor a child or teen. Plant a tree. Serve a church. If you are currently in service, great. 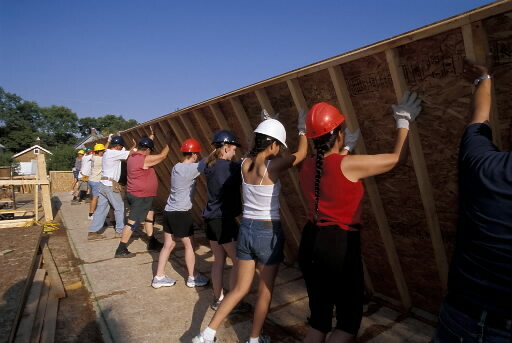 Find a new cause to serve and give your current service a fresh injection. When you serve, do it with enthusiasm, vigor, and leave your ego at home. Do it with a smile. You might find a new calling. The United States of America is a fragmented society, especially in the political realm. Everyone seems to retreat to their ideological corners and label anything opposed to it evil, wrong, corrupt, or irrational. Frankly it is ignorant, unfair, and runs afoul of our American value system of being tolerant of one another's ideas and expression of those ideas. One of the main causes for our retreat is thinking we know the other side. The reason we think we know is we focus on the soundbites, the sensational rhetoric, and seemingly the most bombastic individuals representing the other side. Going the route of villainy of others is absolutely no way to compromise and or achieve ends that benefit us all. Call it utilitarian if you want to. It's our society and we all have to live in it, together. Our challenge is to gain an astute understanding of other's ideologies. What socioeconomic elements of the population drive such ideals? What frustrations do the various groups within a political construct face? When we understand one another's motives, we are more likely to empathize with them. Make it a priority to study another point of view. You might find agreement and compromise. 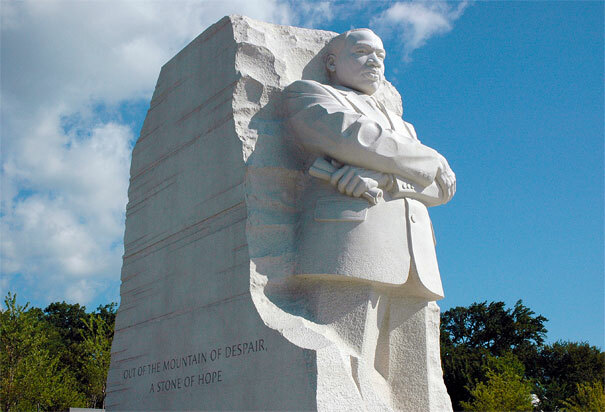 Martin Luther King, Jr. lived for social and economic equality, opportunity, faith, hope, and service of all mankind. If we strive to get to know one another, love one another, serve one another, and get along with one another, we can all do our part to make Dr. King's dream more real everyday. Take the MLK Challenge today. Exavier B. Pope, Esq. is an entertainment and sports attorney and sports business and law blogger for ChicagoNow. All opinions expressed are those solely of Mr. Pope. P.S. Share and Retweet this post to all your colleagues and friends. You might start a movement. Great suggestions, the world would and could be a better place. That's my dream. Interesting choice of a picture with Robert Mugabe, the butcher of Zimbabwe shaking hands with Sepp Blatter, the most corrupt bureaucrat of international sports. The only way Dr. King's dream will come true is if we realize it in each of our lives. You lay out a good roadmap to do it. 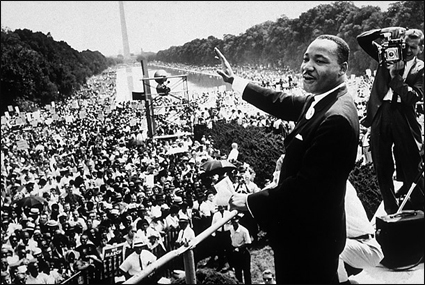 Exavier, you may like the poem I wrote and posted yesterday on my blog: "Encapsulating the Essence of Dr. King". Thanks for sharing this inspirational piece, Exavier! You might be interested in knowing about Reverend Clyde Brooks, who has been keeping Dr. King's vision alive for 44 years! Brooks founded the Illinois Commission on Diversity & Human Relations, and was a close friend of Dr. King during his last nine years of life. This will be the 44th year of the Dr. King Remembrance & Celebration Dinner in Chicago (Jan.21st), and the purpose of the benefit is to provide qualified Chicago-area youth with college scholarships... to give equal opportunities to all. Check out his site: www.icdhr.org. Anyone can make a donation and the U. of Illinois is doubling that amount this year -- to help more youth attend college. If you'd like to meet Reverend Brooks, let me know. Thank you for sharing this information. Yes, I would LOVE to meet Reverend Brooks.